The moment you take the new Adizeros out of the box, you notice something – they’re so light. 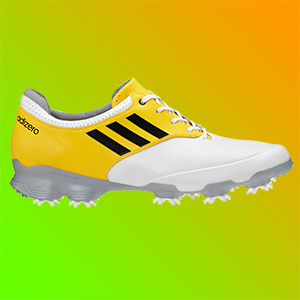 It leads me to wonder if this golf shoe is going to give all the necessary support I need when swinging a driver. After playing three rounds of golf in Portugal I can confirm that the Adizeros not only gave me all that support, they also declared their own little embargo on blisters – not a patch of cut or sore skin to be found. Straight out of the box, straight onto the course, and no pain. Adidas are on to a winner with this combination in my book. Adidas state that this is the lightest men’s tour golf shoe they have produced, and you can believe it when you remove them from their box. The comfort comes from a leather ‘sprintskin’ that gives the shoe its soft and comfortable feel. 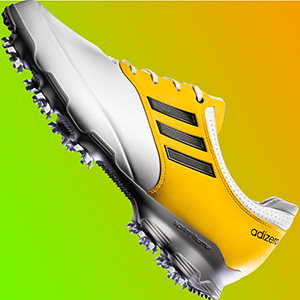 The ‘pebax sprintframe’ and internal ‘sprintweb’ are what give the Adizero its superb performance and support during the swing. 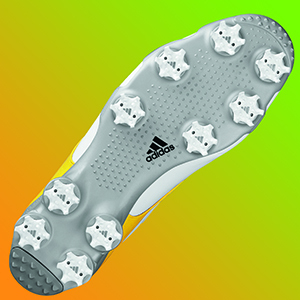 All this is anchored by the 10-spike configuration, providing these shoes with traction and stability at impact. 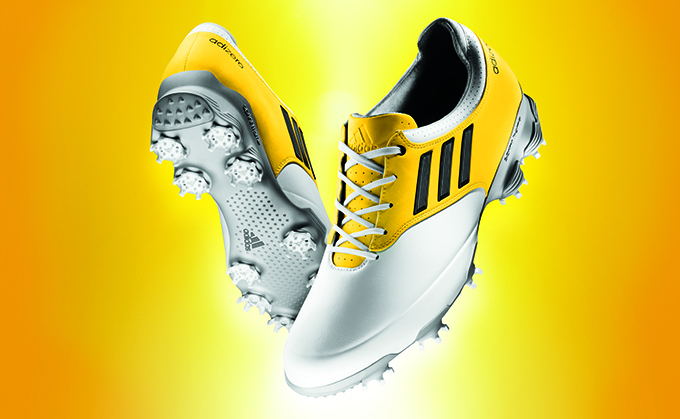 A great golf shoe. I love how light it is and on a hilly course like Penha Longa I certainly feel the benefit after 18 holes. I’m also pleasantly surprised at how strong the shoes are, especially during the golf swing. I never once feel the spikes slip and they’re solid throughout the swing. And after three rounds of golf on consecutive days, with the shoes straight out of the box from new, I had no blisters or abrasions and most of all my feet didn’t ache or feel tired. The Adizero is a shoe I’d definitely recommend.